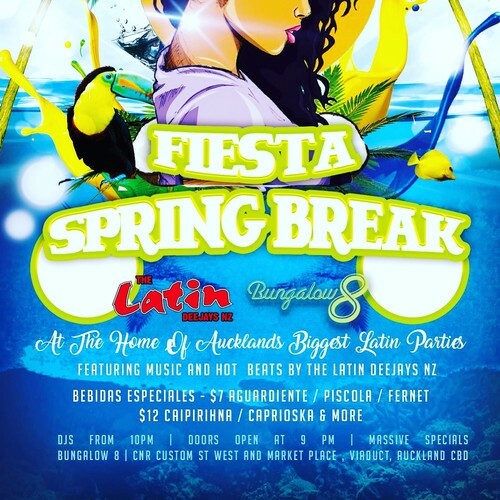 Join us as we welcome the hot weather and hotter Latin Beats with the Latin Deejays NZ for Fiesta Spring Break! Cumbia, Salsa, Bachata, Reggaeton, Funk, Rock en Español played by the crew from 10-4am. Auckland's Sexiest Latin Party! Entry fee from 10pm, doors open at 7pm. RSVP and keep up to date with info on our event and Facebook page. See you soon for the Fiesta!